This guide currently applies to most Smart TVs. Due to the number of manufacturers and models of TV, we cannot guarantee compatibility with all TVs. 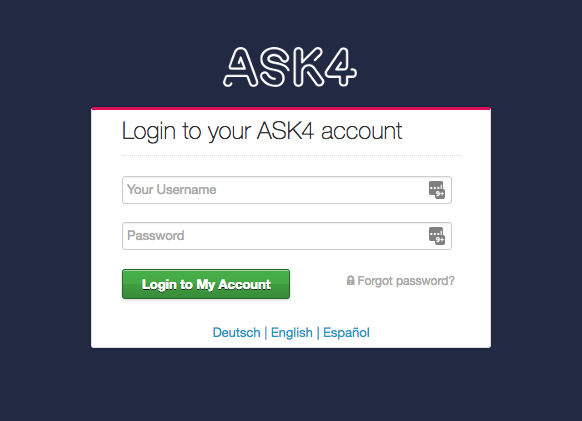 If your Smart TV has a web browser, simply go to signup.ask4.com in the browser and log in to your account to add it as a new device. If your Smart TV does not have a web browser, we will need to add it to your account from a computer, phone or tablet. Use the menu options on the TV to locate the Status or Network section within Settings. Your MAC address may be located there. Look for a printed label on the rear of the TV which may contain the MAC address. Check the box the TV came in. This may contain a label with the MAC address. If none of the above methods work, please check your TV’s user manual or contact the TV’s manufacturer for help. 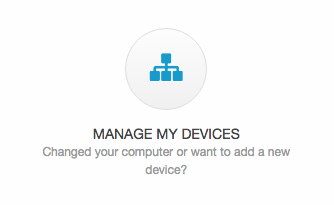 Now we just need to add your Smart TV to your account by clicking the blue Add New Device button. Now enter a name and the MAC Address we took earlier, then click “Add New Device”. You’re now ready to connect it to the network. We strongly recommend you connect the TV via an Ethernet cable to the wall port in your room, rather than using Wireless. This will provide you with a better and more stable connection, and should result in better picture quality when streaming video. Lastly, follow the instructions that came with your Smart TV to complete the setup. If you would like to communicate between your devices and your Smart TV, for example casting videos from your phone to your TV, you may require an upgrade to your account. If you don’t already own the 4Connect-Plus add-on, please follow the instructions to purchase this here.